Specialist fire safety and building compliance contractors across Scotland are being invited to apply to become ‘preferred contractors’, as part of a newly launched Dynamic Purchasing System (DPS), designed to help registered social landlords meet new higher standards to protect properties from smoke and fire. The new Dynamic Purchasing System is being managed by PfH Scotland, specialist providers of procurement services to the housing sector and jointly owned by HouseMark, the National Housing Federation and the Chartered Institute of Housing. It will be available for use by the growing number of Scottish social landlords that are PfH Scotland members to help streamline the process for procuring a variety of fire safety and other specialist safety works. As for other procurement solutions recently announced by PfH Scotland, the new DPS has been specifically designed to encourage SME participation by creating separate ‘preferred contractors’ lists covering six individual regions of Scotland, namely North East, North West, Central East, Central West, South East and South West. Following the Grenfell Tower tragedy in June 2017, the Scottish Government established a Ministerial Working Group on Building and Fire Safety to review existing building and fire safety regulatory frameworks in Scotland. As part of this work, a public consultation on fire and smoke alarms was launched. In March last year, Scottish Housing Minister Kevin Stewart announced plans to extend the existing standard for protection from smoke and fire required in private rented housing to all tenures of housing via an amendment to the 1987 Housing (Scotland) Act. For RSLs, the new standard will necessitate the installation in all social rented properties of at least one smoke alarm in the room most frequently used, at least one smoke alarm in spaces such as hallways and landings and at least one heat alarm in every kitchen. The new standard also specifies a maximum age of ten years for all alarms and requires all homes to be fitted with a carbon monoxide detector. More recently, the Scottish Government has also announced plans to make the installation of sprinkler systems compulsory in all new domestic buildings above four storeys in height. At a UK level, the applicable British Standards governing fire doors are also expected to be updated or replaced, introducing a requirement for two-way compliance. PfH Scotland’s new Dynamic Purchasing System for compliance services is specifically intended to help RSLs procure the specialist fire safety services they will need to comply with the amended 1987 Housing (Scotland) Act and other stricter fire safety provisions introduced in response to the Grenfell Tower fire. But it will also offer access to a range of other specialist health and safety compliance services such as electrical testing, surveying, testing and removal of asbestos, installation and servicing of lifts, radon testing, testing and treatment of legionella and the treatment of invasive plant species such as Japanese knotweed. Interested contractors can register their interest in the new compliance services DPS via PfH Scotland’s electronic procurement portal. The DPS will remain open for contractors to join for a period of five years. Any contractor fulfilling the stipulated pre-qualification criteria will automatically have the opportunity to tender for any contracts subsequently procured through the DPS in whichever category and region or regions they have expressed an interest in working. Tender opportunities via the DPS will be advertised to approved DPS suppliers from the end of February 2019. Commenting on the newly launched DPS for compliance services, PfH Scotland Head of Operations Stephen Herriot said: “The devastating fire at Grenfell Tower in June last year has precipitated some far-reaching policy changes concerning the protection of homes from smoke and fire. 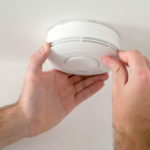 As part of these changes, registered social landlords will now have to ensure that their properties meet reinforced standards governing the installation of heat and smoke alarms and carbon monoxide detectors. “At the same time, as RSLs seek to modernise their housing stock to meet increasingly stringent standards for quality and energy efficiency, there is a growing need for specialist contractors to deal promptly and safely with other factors with significant health and safety implications. These include safe removal of asbestos, treatment and prevention of legionella, electrical testing of equipment, installation and servicing of lifts, testing for radon and dealing with invasive plant species such as Japanese knotweed. PfH Scotland’s new Dynamic Purchasing System is designed to help RSLs achieve compliance with the latest health and safety standards in all these areas as straightforwardly and cost-effectively as they can. More information about the PfH Scotland Dynamic Purchasing System for compliance services is available on the Public Contracts Scotland website (log-in required).